If you want to be an influential investor, you’d better have amazing deal flow, an unerring eye, or else be prepared to crank out the equivalent of a book per year. Successful VCs vie for spots on the Midas List, but in addition to having a golden touch, it’s increasingly important that they also have silver tongues. Over the last decade VC’s have become brands, sought after as much for their legions of followers and influence as their checkbooks. Take Marc Andreessen, who in just a few years has built up a firm with billions of dollars under management and a platform that puts him on par with cabinet level government officials. His legacy as the inventor of the web browser and an investor are secure, but as impressive as these achievements are his “tweetstorms” which might be his most influential innovation. Andreessen has tweeted over 47,000 times since joining Twitter just over a year ago. That’s approximately 164 times a day, or once every eight minutes! Assuming his tweets are the average length of 67.9 characters and his word choice hews to the English language standard of 5.1 characters per word, that amounts to 784,166 words. To put that in perspective, the average mystery novel clocks in between 60,000 and 80,000 words. So in between investing in Facebook, Airbnb, and Oculus, Andreessen has written the equivalent of 5–10 Dan Brown novels. Basically, if you want to be an influential investor, you’d better have amazing deal flow, an unerring eye, or else be prepared to crank out the equivalent of a book per year. You don’t need to be a blogger to be a sought after VC, but many of the sought after VCs spend a lot of time blogging. Lets take a look at a few famous examples and their first year of blogging. Fred Wilson was one of the first VCs to actively engage on social media and has kept up with daily blogging for nearly a decade. In 2004, his first full year of writing, he averaged over 10,000 words per month. Some posts were long think pieces, others dispatches from the beach with his family, but day after day he provided insight and commentary. Brad Feld started started blogging shortly after Wilson in May 2004 and proceeded to write 10,000 words per month for the next year while simultaneously putting Boulder, Colorado on the tech map. PG is the most literary of this bunch and actually wrote a book, Hackers and Painters, that collects the best of his blog posts/essays. After inventing the browser, but before summoning the tweetstorm, Marc Andreessen pioneered the art of the mega blog post. His now defunct Pmarca blog clocked in at 64,520 words written between March and October 2007. It was presented as a blog, but seemingly conceived with the structure and pace of a book. Mark Suster followed Wilson, Feld, and Graham into blogging, but by the time he got started in 2011, the novelty had worn off. In the intervening seven years, Every VC worth his or her salt had dabbled in blogging. Suster broke through the noise by focusing his efforts on expansive long-form blog posts that covered lesser discussed topics, like the economics of the entertainment industry. Suster supplemented this with hosting a video series called This Week in VC, adding dozens of hours of exposure through video content. In recent years, activity on Twitter has taken the place of a proper blog. 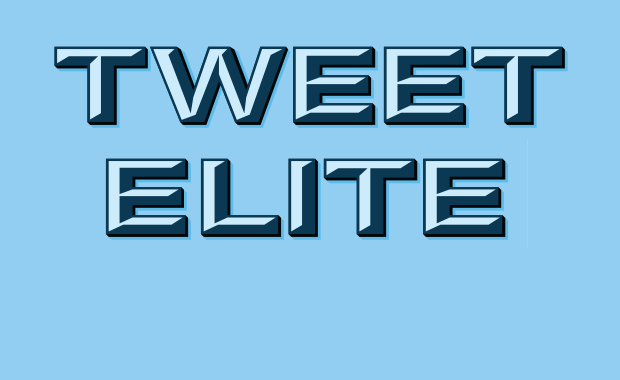 Take a look at some of the most elite Tweeters. If you apply the same calculation that I applied to Andreessen’s Twitter activity, you’ll see many of the top VCs are essentially writing a book, or at least several chapters, every year. Developing a brand is about more than volume of activity, there are plenty of tweet-happy VCs that haven’t reached the same level of status. In addition to writing a lot, you need to write well and engage an audience over time. Focus is important in this regard. Blogs don’t need to be academic, but all the best examples have followed a pattern of creating a syllabus of sorts. Andreessen wrote “The PMARCA Guide to Startups.” Feld wrote a series on term sheets that demystified what were then arcane legal instruments, setting the stage for YCombinator’s SAFE docs. Wilson had a multi-year series called MBA Mondays that attempted to bring business scholarship to startups. Suster broke down the changing economics of the TV business. These VCs share hard-to-find information, religiously, voluminously, and comprehensively in structured formats. Not every VC has forged their reputation in WordPress. Chris Dixon blogs prolifically, but also did nearly 50 interviews for TechCrunch TV. Mary Meeker’s annual reports have become the one PowerPoint presentation everyone in tech actually looks forward to. MG Siegler and Om Malik wrote millions of words as journalists before jumping into the world of VC. Alexis Ohanian leads a cult of the most rabid fans on the internet while writing best selling books and recording videos and podcasts. Andreessen is probably best known outside the tech world for writing an influential op-ed. TechCrunch founder Michael Arrington used his leverage as a publishing entrepreneur to create a VC fund. Jason Calacanis has built a miniature multi-media empire to support his work as an angel. Semil Shah used a regular column on TechCrunch as a spring board to a personal blog, video series, and events. Brad Feld created a publishing imprint called FG Press. The ultimate example is Shark Tank — is there a venture investor better known today than Mark Cuban? Paul Graham is an influential blogger, but is also arguably most responsible for the notion of a VC firm as a platform for knowledge dissemination. HackerNews, created in 2007, became the water cooler for the startup community. First Round Capital expanded this notion into a longer form, curated platform called the First Round Review. And A16Z went even further by hiring a team of former editors, many from leading publications like Wired to push ahead. Ultimately success is more about the Internal Rate of Return, not retweets. If Wilson hadn’t ended up having the good sense to fund Twitter, Tumblr, Zynga and Kickstarter, his prognostications would lack heft. Andreessen’s reputation is bolstered by big, successful bets on Oculus, Facebook and Airbnb. Suster’s blog posts are informative and entertaining, but the sale of Maker Studios for nearly a billion dollars (among other wins), proved the value of his perspective. It’s not hard to think of bloggers whose opinions have waned in authority as their firm’s IRR shrank. And being a top tier VC doesn’t require a blog. Mike Goetz, Peter Fenton, Peter Thiel, Douglas Leone, Steve Anderson, Paul Madera, Scott Sandell, Roelef Boetha, Jim Breyer, Mike Moritz and many, many others have forged legendary careers just dabbling in social media, if at all. But for those aspiring VCs and angels looking to be mentioned in the same breath as Fred, Brad, Marc, Mark, Jason, Chris, or Chris, in addition to trying to stay atop of tech trends, meeting with new entrepreneurs, counseling startup founders in the midst of the series A crunch, you’ll also need to get over your writer’s block.